I made a backing for this top. Supervisor Teddy tested it out. Once he said it was OK I taped the backing to the floor . I have carpet in the studio so I taped the backing down with masking tape rather than tack it to the wood floor like I did in the old space. 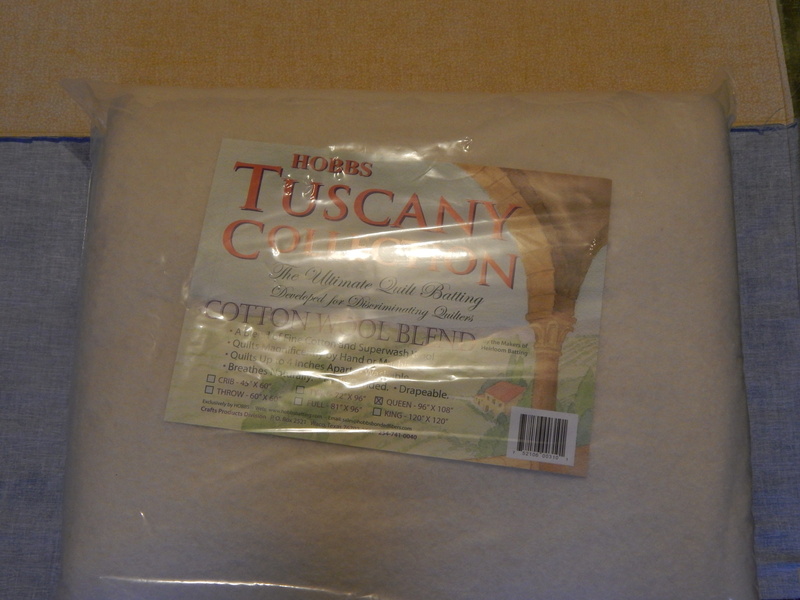 I am using Hobb’s Tuscany cotton wool blend batting. 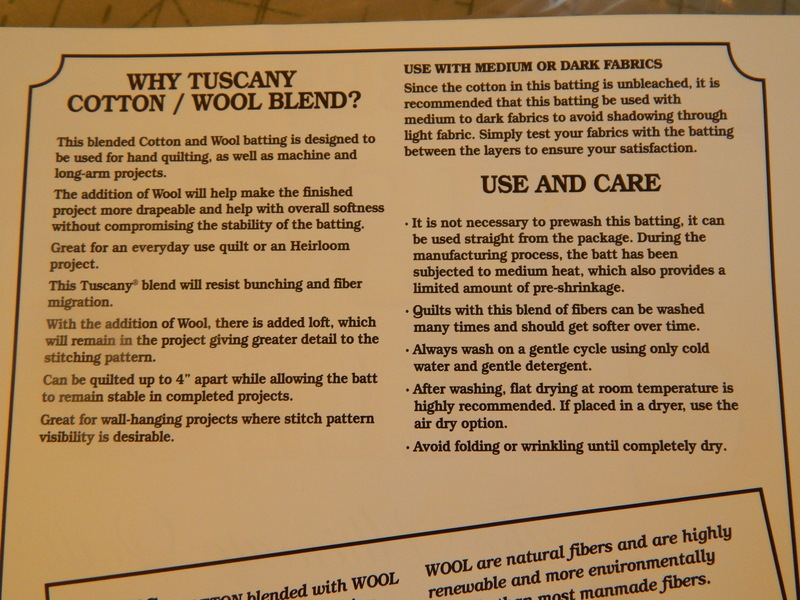 I spread out and smooth the batting on the backing then put on the top and smooth that out. Here it is layered and pinned. 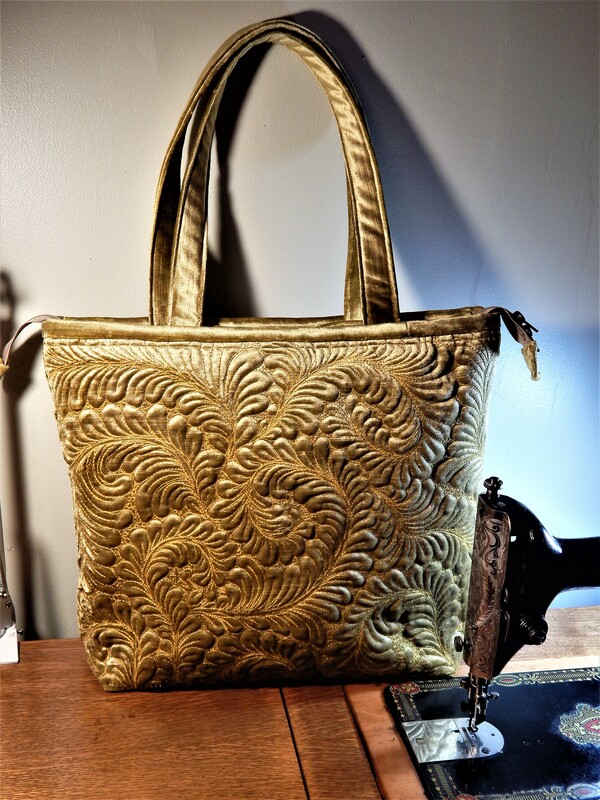 It is hard to see the pins. I don’t use many. 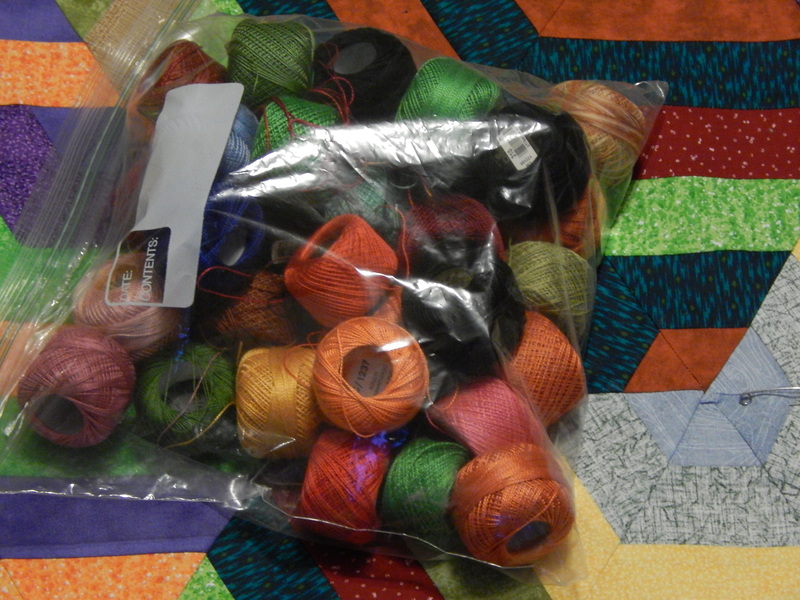 I have a bag full of perle cotton thread leftover from several quilts and I plan to do the hand quilting with it. It wont happen tomorrow. 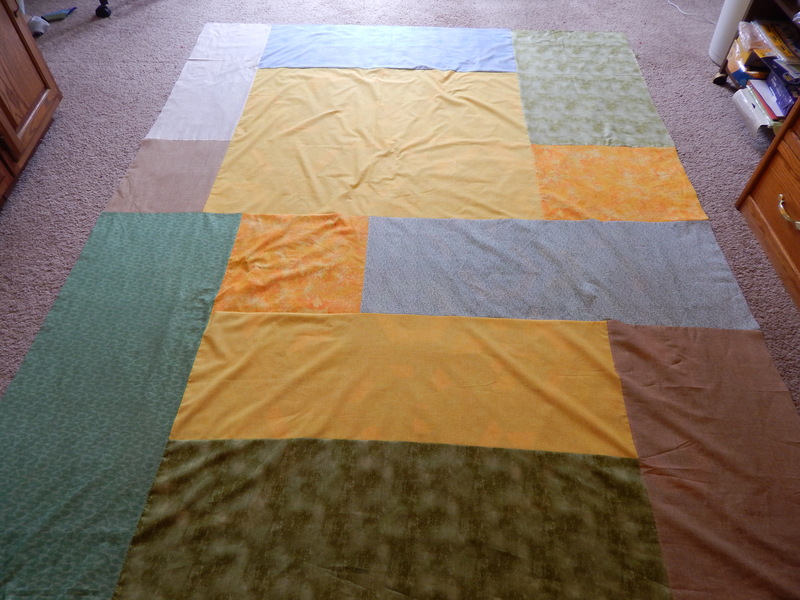 I have a lot of hand quilting to do first but It is good to have it set to go. 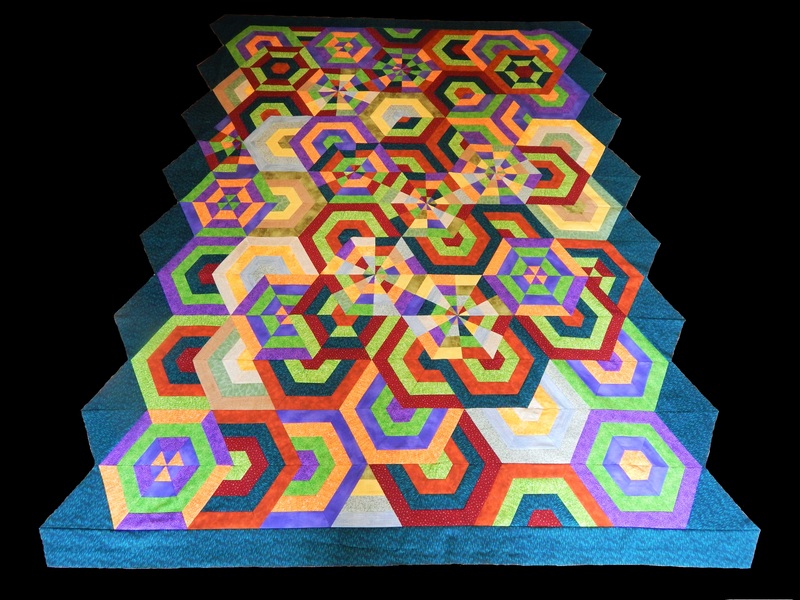 This entry was posted in Quilts and tagged Basting, hand quiltig, Quilting, Quilts. Been wondering what you’ve been up too! Teddy has been pretty quiet here too. 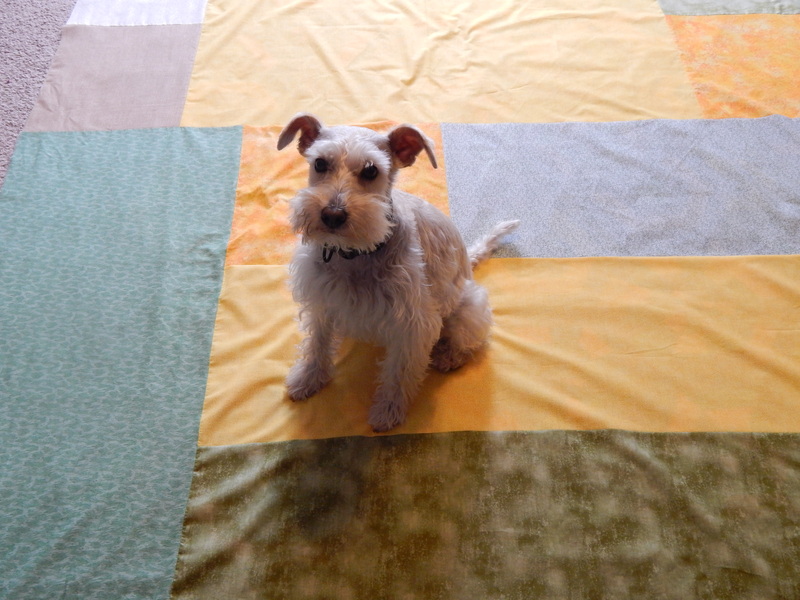 I look forward to seeing the pattern you use while quilting. Good luck with your endeavors. Give Teddy a treat from me. Nice. 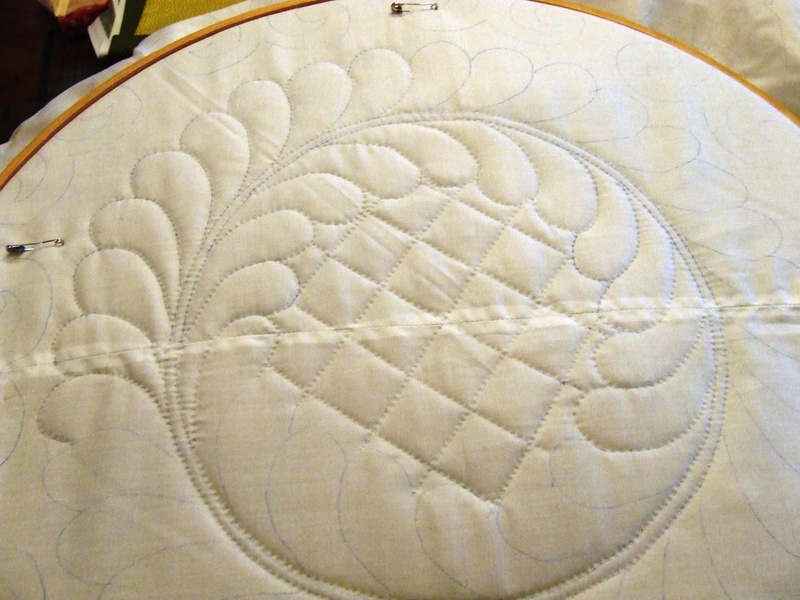 I have just tried quilting with perle cotton. I really like the look. Have you ever tried board basting? That is what I do and it is much easier than crawling around on the floor. it is so much easier for me to use the floor……I can get the entire job done in 20 min and I never have any puckers or shifting. 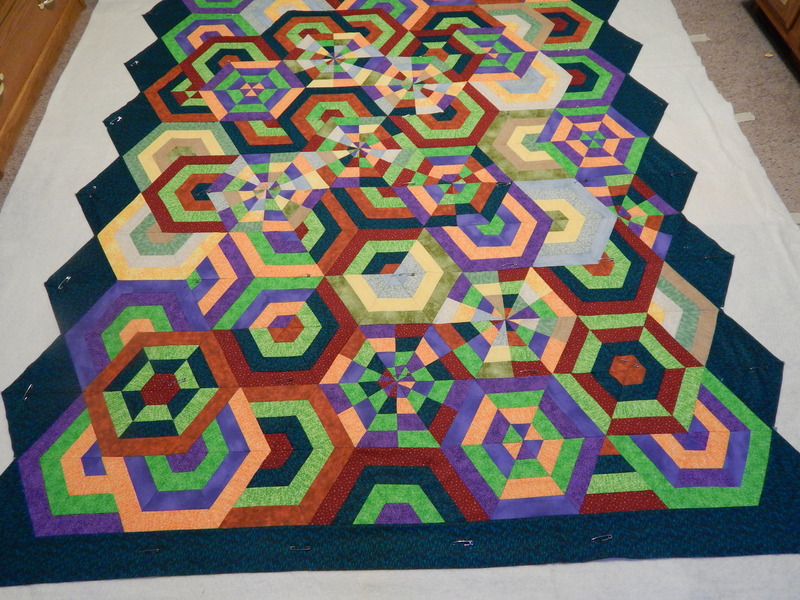 I really like this quilt top and the way light dances across the surface. It looks like it will be fun to quilt, too. That quilt is FANTASTIC! 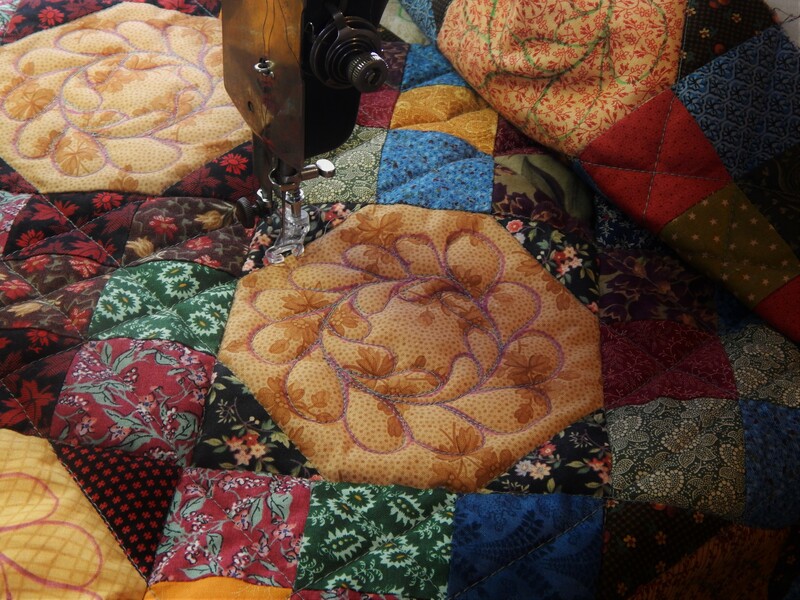 Can’t wait to see what you do with the hand quilting. What a wonderful interpretation of the traditional spiderweb! Hope you had a good holiday. Missed you and Teddy. Like the back. Teddy looks serious about his approval. It takes a bit to catch up. Teddy can be very serious when he wants….. 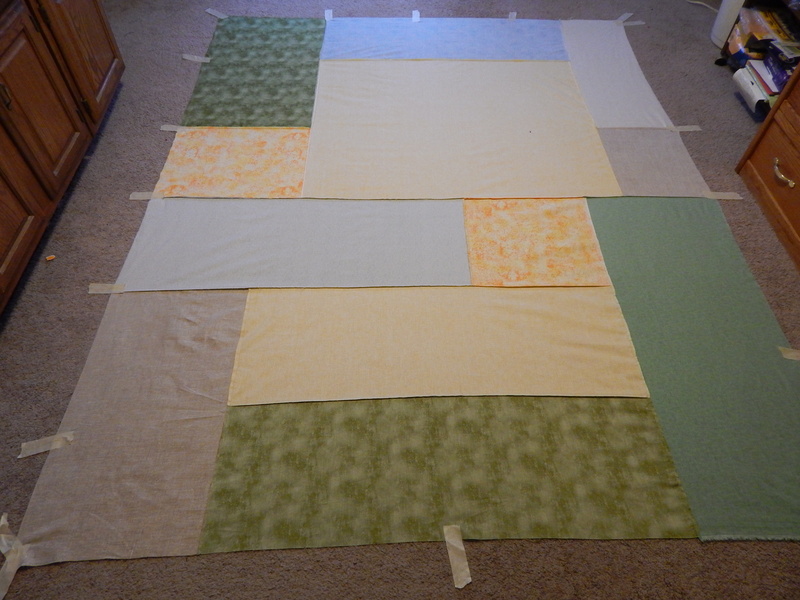 Interesting to see how you start the quilt sandwich. I’ve started using a lot less pins, but never thought about using less tape. 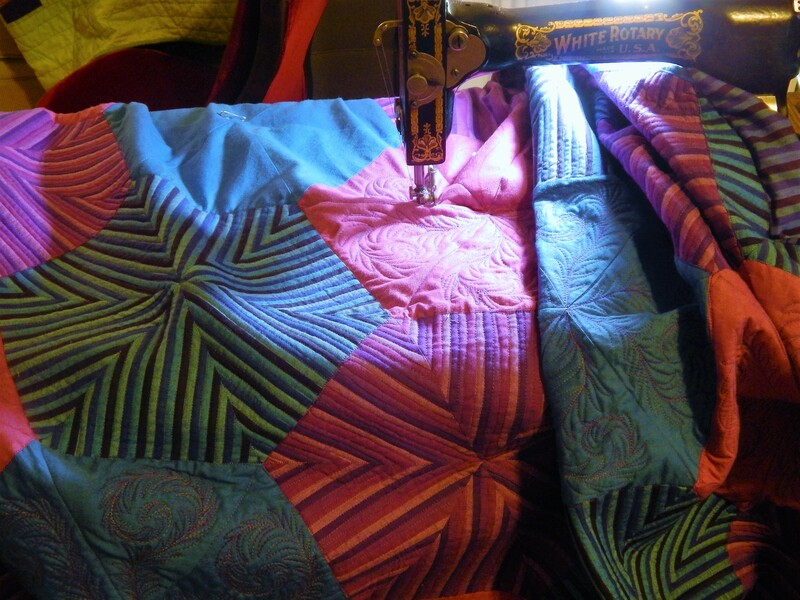 With hand quilting the sandwich doesn’t really have to be as tight as with machine quilting.